Will there be a re-election in San Pedro town? Posted: Tuesday, May 29, 2018. 7:32 pm CST. By BBN Staff: Today, the Ministry of Investment, Trade and Commerce informed that it is conducting consultations with the Ministry of Agriculture and other relevant stakeholders in its effort to formulate recommendations to the Export Processing Zone Committee on the sale of sugar on the local market by Santander Sugar Ltd.
Santander Sugar Ltd. received Export Processing Zone (EPZ) status on February 17, 2014 and was authorized by the Export Processing Zone Committee to “process raw sugar and molasses” for the export market. In January of this year, the company expressed interest to value-add its product to take full advantage of opportunities that may exist in the CARICOM Market. The company began the process to apply to the Export Processing Zone Committee for an amendment of its Certificate of Compliance and Operations Contract for its Export Processing Zone status to include the production of plantation white sugar. The final application remains pending and will be submitted for the review and consideration of the EPZ Committee once all the application requirements are met. On May 10, 2018, the Ministry was informed that Santander was distributing plantation white sugar on the local market. The company was served with a letter from the Ministry of Investment on May 11, 2018 informing that the company must submit an official request for a waiver to the EPZ Committee for consideration if any sales are to take place in the local market. On May 18, 2018, Santander Sugar Ltd. wrote to the Ministry of Investment officially requesting a waiver for the sale of plantation white sugar on the domestic market. On May 24, 2018, the Ministry issued a cease and desist letter to the company after receiving confirmation that plantation white sugar was being distributed, despite the letter which was served to the company on May 11th, 2018. This cease and desist letter indicated that the company was in clear violation of the EPZ Act and contrary to what they had been authorized under their Certificate of Compliance. Yesterday, the Ministry and its representatives met with executives of Santander Sugar Ltd. who confirmed that they had one local distributor to whom they had sold 750 metric tons. In addition to its assessment and consultations on the matter, the Ministry has also been engaging with the Customs and Excise Department to determine a means to clear the local market from the sugar that had been supplied by Santander. To date, no waivers or permits have been provided to Santander Sugar Ltd. by the Government of Belize. The Government is committed to follow due process on the issues that have developed and to ensure that the laws of Belize are abided by. 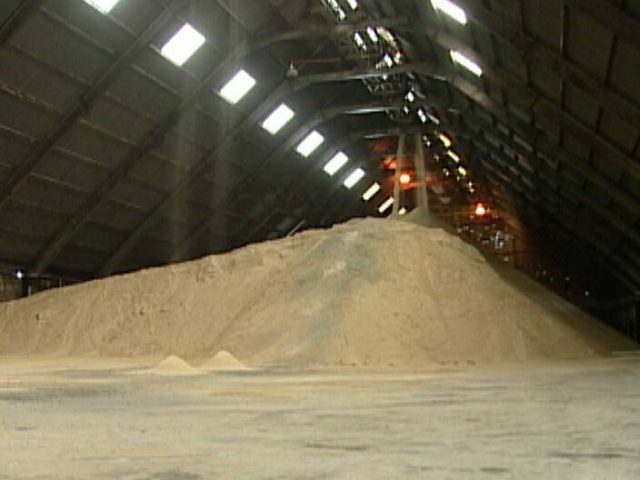 The Ministry says that it intends to assist Belize’s sugar industry to develop its value-added production capacity to become the main regional supplier of sugar in the Caribbean Community.